Posted Aug. 29, 2017, 4 a.m.
Posted March 9, 2017, 5 a.m.
Posted Feb. 28, 2017, 3:22 p.m.
Juan Sebastian Castillo, an 18-year-old Latino, was found shot to death Sunday, Feb. 26 in Santa Monica, according to coroner’s records. About 5 a.m., Santa Monica police responded to a call about an unconscious man on the ground in the 1300 block of 16th Street near UCLA Medical Center, Santa Monica Police Lt. Saul Rodriguez said. Officers found Castillo with a gunshot wound to the head, and he was pronounced dead at 5:18 a.m., according to coroner’s records. Detectives believe Castillo's body was dumped at the scene and are still trying to determine where he was shot. Officers are investigating whether Castillo's death is linked to a report of a shooting about 12:45 a.m., when police found evidence of gunfire in the 2100 block of Pico Boulevard, Rodriguez said. March 1, 1:51 p.m.: A previous version of this report referenced the incorrect date of death. 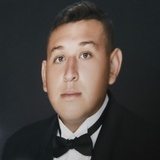 Castillo was found dead Sunday, Feb. 26, not Monday, Feb. 27.
juan castillo was an amazing guy , his memories are left behind with us to always have. he will always be in our hearts. — okay Aug. 30, 2017 at 2:11 p.m. This is tough to even just read. who knows what happened and why. it's a shame that someone so young was pretty much killed like an animal and thrown on the ground. that person or persons who are responsible are just savages. — just March 10, 2017 at 9:09 a.m.